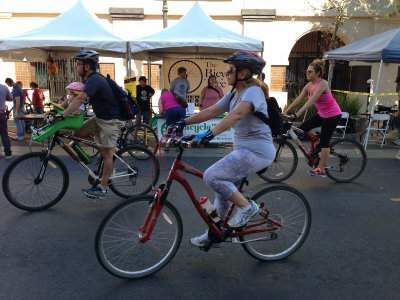 Santa Ana will receive more than $11.5 million in state active transportation funds to help build three major bikeway projects, a major step forward in the city’s efforts to improve bicycle safety. Protected bicycle lanes at Santa Ana Boulevard and 5th Street ($5.4 million) and on Endinger Avenue ($2.37 million), as well as the Civic Center Bike Boulevard ($3.7 million), are among 34 active transportation projects in Southern California that were approved for funding today by the California Transportation Commission. The Santa Ana City Council will be voting at their next meeting on an agenda item that will repeal their idiotic Bicycle Licencing and Registration Ordinance. 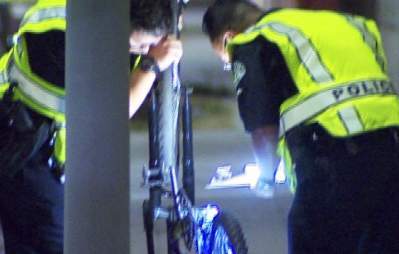 This ordinance allows the Santa Ana Police Department to ticket residents who don’t register their bikes – but you can only register them at the SAPD’s headquarters during office hours. Ridiculous! This ordinance was clearly intended for the harassment of those who are not well to do.